Last week marked 72 years since Vidkun Quisling, whose name became synonymous with “traitor,” was executed by firing squad at the Akershus Fortress and Castle in Oslo. Quisling, appointed by occupying Nazi German forces to lead Norway’s puppet government during World War II, claimed he had no knowledge of Norway’s own Holocaust until the shots rang out, but now the author of a new book claims that part of Norwegian history must be rewritten. Bodil Stenseth, historian and author of the new book Quislings ran (Quisling’s robbery), told newspaper Dagsavisen last weekend that she discovered “a 75-year-old crime” while doing research for the book. Her book tells the story of the mansion in Oslo’s fashionable Bygdøy district called Villa Grande, on the occasion of its centennial, but concentrates on the years when Quisling and his wife Maria used it as their official residence during the Nazi German occupation of Norway from 1940 to 1945. The couple, according to Stenseth, spent NOK 5.3 million expanding and remodelling the mansion, financing it all through the state treasury that had fallen into the hands of Nazi occupiers. Quisling was a former military officer and minister in two goverments led by the Bondeparti (which evolved into today’s Center Party) who went on to found Norway’s own Nazi-inspired National Samling (NS) in May 1933. 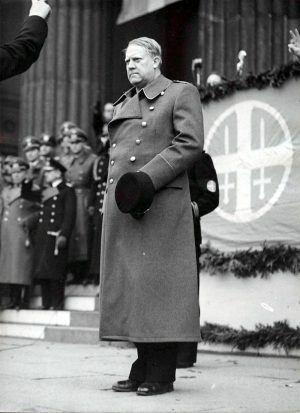 He was later tapped by Hitler to become “minister president” of Nazi German-occupied Norway during the war until he surrendered on May 9, 1945. In the meantime, Quisling and his wife lived well at Villa Grande, and furnished it lavishly. 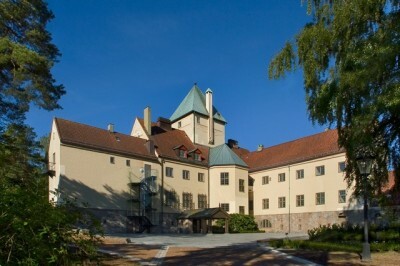 While researching the inventory of the mansion that was built in 1917 by the founder of industial firm Norsk Hydro, and which now houses Norway’s Holocaust Center, Stenseth all but stumbled upon registers of valuable items taken from the home of a Jewish family in Oslo who had been arrested and sent to Germany. On October 26, 1942, Jewish boys and men were arrested and sent to a prison camp at Berg outside Tønsberg. They included antiques dealer Philip Watchman and his 16-year-old son Arthur. Their wife and mother, Florence Watchman, was arrested a month later and put on board the German ship Donau, that transported most of Norway’s Jewish population to concentration camps in Germany. The family may have been briefly reunited at the pier, before all were murdered in Norway’s own Holocaust for which the Norwegian government has officially apolgized. 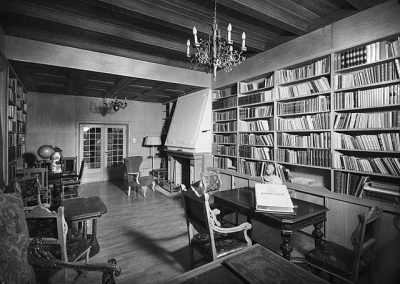 “Vidkun Quisling was himself a collector of art and antiques,” Stenseth told Dagsavisen. She found evidence that such from the Watchman’s home were sent either to his holiday home called Ørneredet (The Eagle’s Nest) in suburban Asker or to Villa Grande, called Gimle at the time. She claims Quisling must have known that the Watchmans would never return from Germany, and that he personally had one of his faithful assistants, Hans Næss, organize the plundering of the Watchmans’ home and business. This year also marks 75 years since the arrests and deportation of Norway’s Jewish men, women and children. The sombre events are being remembered in a series of special speeches and concerts at Oslo’s Jewish Museum and at The Holocaust Center, which was built and funded with money from the state earmarked as part of official apologies and compensation for losses suffered by Jewish families during World War II.